Eloquence About the Social Impact of ADHD by Brian B. Doyle, M.D. One of my patients is so articulate about the social impact of ADHD that I asked him if I could quote him. He said, “Sure. Nothing is as convincing as hearing from actual patients.” I’ll identify my patient only as CHG, for “Capital Hill Guy.” He is over 30 years of age and single. He sought treatment for ADHD, which was made more complex by social anxiety and secondary depression. CHG is profiting by daily use of a long-acting Central Nervous system stimulant and regular psychotherapy sessions. We meet to monitor his medication and his vital signs and to see how he can improve his life further. After two years in treatment, his regimen stable, he is thriving. “I used to drive people nuts. Now I feel free to be myself; I’m not toxic to others any more. I don’t have to keep myself on a choke chain for fear that I’ll talk over or interrupt them. I’m much less anxious socially; I understand how others react to me. Now that I can interact and listen, I’m much less depressed and frustrated and angry. I can get angry when I should, but I don’t have episodes where I rage at myself or at others. After social occasions in the bad old days I used to fret, wondering who I cut off or offended or talked over. I’m still spontaneous. I still have lots of thoughts. What’s different now is that I can decide whether or not to speak my thoughts. Before I blurted out everything – and I mean everything! I’m still feeling my way with others, getting used to this new way of interacting. I don’t have to hide out from people any more. That used to bother me, because I like people – I just behaved so badly around them! Being able to focus on others, I’m much less anxious. I can be quiet and listen and pick up on social cues. There’s a whole world out there I used to miss. I’m learning about people because I can sustain a conversation with them and remember what they say. Everything social is kind of new. Everyone notices the difference. I’m even reworking my relationship with my parents. They’ve always loved me, but they say I’m much easier to be around, now! Thanks, CHG, for letting others in on the results of your treatment. We’re both glad that it is going well. Brian B. Doyle, M.D. is a Clinical Professor of Psychiatry and Family Community Medicine at Georgetown University Medical School, Washington, D. C. Dr. Doyle has extensively published articles on Anxiety, Depression, and ADHD. 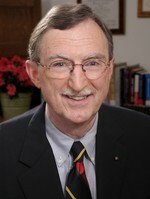 He is the co-author of The Impaired Physician and the author of Understanding and Treating Adults with ADHD. Dr. Doyle has been honored as one of the Best Doctors in America from 1997 to present, honored by the American College of Psychiatrists and the recent Past- President of the National Association of Medical Communicators. Dr. Doyle has presented over 250 lectures to professional and lay groups on affective anxiety disorders, attention deficit hyperactivity disorder, psychopharmacology etc. Dr. Doyle is in private practice in Washington, D.C.
« Adults with ADHD with Brian B. Doyle, M.D.